There are several lists on web design mistakes out there. Most of them focus on the web design itself but forget about other components such as how a good design becomes a great design through the right way of collecting feedback. There’s always a feedback stage in the web design process which requires intensive interaction between co-workers, as well as external clients. And as in every intense interaction there’s plenty of room for improvement. Here’s my list of 6 common mistakes to avoid when collecting & giving feedback on design drafts. Well, it absolutely makes sense to gather as much feedback as possible from people working in different departments. Your project team will (and should) be the first place you go to ask for feedback on design drafts and prototypes. However, it is dangerous to simply ask someone because he/she’s just around. Well, yes. Ask him/her besides a couple of other people to gather different aspects you might forget. But always be specific and precise in your questions while collecting feedback. Do not ask your colleagues “how they like your design”. Ask them specific questions explaining the background and the story of the design first. What’s the main vision and objective of the website/app/prototype you’ve worked on? What’s the target group who’ll be using the product/website? How do they look like & behave? What are potential use cases for the website/app? How does a potential customer journey look like? What are different limitations you’ve had during the design process (e.g. CI guidelines, etc.)? What are different standards & presets for the projects? It’s super-easy to express personal opinions and we’ve probably been to a couple of client’s meetings where we’ve heard the sentence “I don’t like it!” (or something similar). Unfortunately, design is a highly subjective area. And as people we tend to take that opinion personally. Is there anything specific you do not like about that design? What element don’t you like? Is it the type style, the color, the spacing? 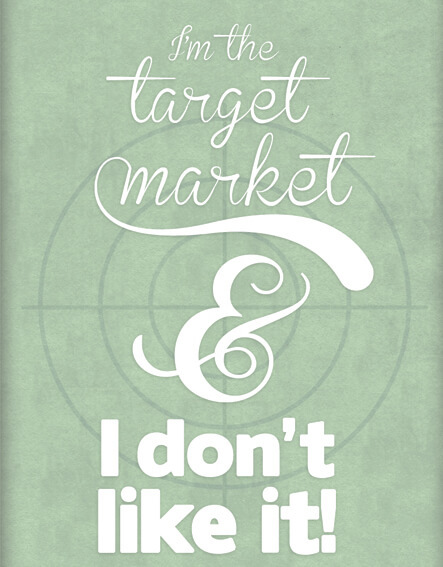 Think about our target group (which we’ve defined during our first meeting) and how they would react on that design? In what kind of way will it differ to your personal reaction? Do not simply ask for feedback without considering the process of how to get feedback. You might end up sitting in different design meetings or phone calls where people you’ve asked for their comments, will provide you with some lengthy feedback and express their thoughts. Clearly express the expected way to collect feedback (whether it’s with one of the mentioned tools below or in any other structured way). 5. Any deadline for submitting feedback? You’ve worked hard on crafting a new web design for your client and you now end up waiting days or even weeks for feedback. Don’t let that happen. Consider feedback loops right at the beginning of a new project and clearly address and communicate them within your project team. In many cases the “real process of providing feedback” is underestimated and overlooked in many cases which often results in a delay of the project. I know this one is kind of obvious, but to some extent the situation happens in many teams. People are discussing on design drafts and prototypes and may disagree on some specific area. Don’t just overlook someone because someone else gets more attention. The above-mentioned mistakes when collecting design feedback won’t be solved by the usage of any tool. However, I’d recommend checking out one of the below-listed tools since they are a great replacement for email or phone calls while collecting feedback. From my point of view, it doesn’t really matter which tool you choose. All mentioned tools will offer you great flexibility to get in-depth feedback from colleagues & clients. They will also make your feedback process way faster and more interactive. Good design can be made better by working within limitations and incorporating the feedback from others. However collecting and giving feedback is an intense phase during every web project where people tend to take things personal. By avoiding the mentioned mistakes and making use of one of these awesome design collaboration tools, designers as well as developers and project managers can ensure an efficient and transparent way of collecting design feedback. What mistakes have you seen so far when collecting feedback on design drafts or prototypes?